We’re committed to serving the Georgetown Brooklyn community and offer a variety of towing and emergency services designed to help you get back on the road, fast. We know how disruptive a breakdown can be for your day and take pride in our ability to reach you and resolve your problem quickly. You don’t have to cope with car trouble alone; we’re here to help when you need us most. 24-hour towing means we’re there for you when you need us most – whether your breakdown is at 7am or after midnight, we’ll be there. We understand that your car won’t always break down at the most convenient time or in the most convenient place and are committed to swiftly providing the tow service you need. 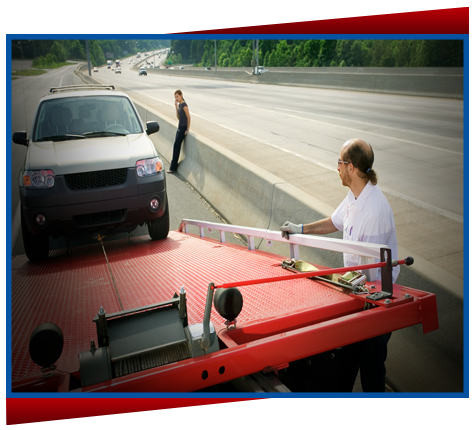 While our 24-hour towing service is one of the reasons Georgetown Brooklyn customers know us best, we also offer a variety of roadside assistance services designed to get you going, fast. Whether you’re locked out of your vehicle, have a flat tire or even ran out of gas, one of our friendly and reliable technicians will have you on the road again in a hurry. 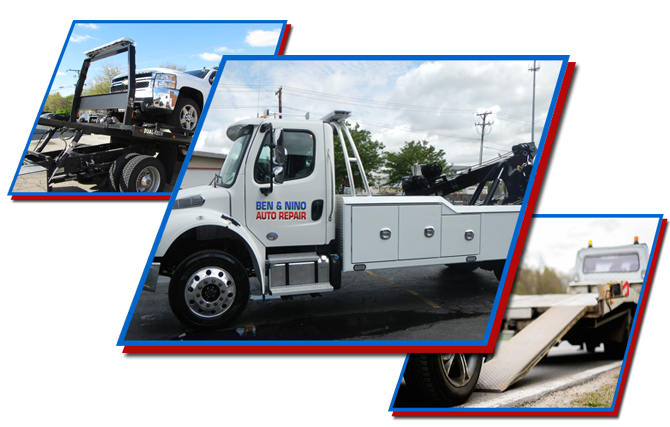 Ben & Nino Towing and Auto Repair serves the Brooklyn area with a variety of repair, auto body and emergency services. Customers love us for our prompt responses, high quality work and affordable rates. Our commitment to serving our community means you can access help whenever you need it – we’re available 24/7 to meet your towing and roadside assistance needs. Contact us for help when you need a tow, are locked out of your vehicle or simply can’t start your vehicle – whether you need a jump start or your car needs to be towed in for service, we’re ready to help.